Much has been made of Chrysler's apparent lack of new products for the 2010 model year. Suffice it to say, while there are big things in store for Chrysler, they will take at least another year to get into production. For instance, while removing the unsightly strakes from the hood of the unloved Sebring sedan and convertible is a nice gesture, it's not nearly far enough to make the car suddenly competitive with its chief rivals in the ultra competitive mid-size sedan arena. Not entirely surprisingly then, Chrysler is trying its best to add a few reasons to purchase its current models before the major changes happen in the next few years. Each of Chrysler's current nameplates – 300, Town and Country, Sebring and PT Cruiser – get Special Editions that will hit the market in the first quarter of 2010. 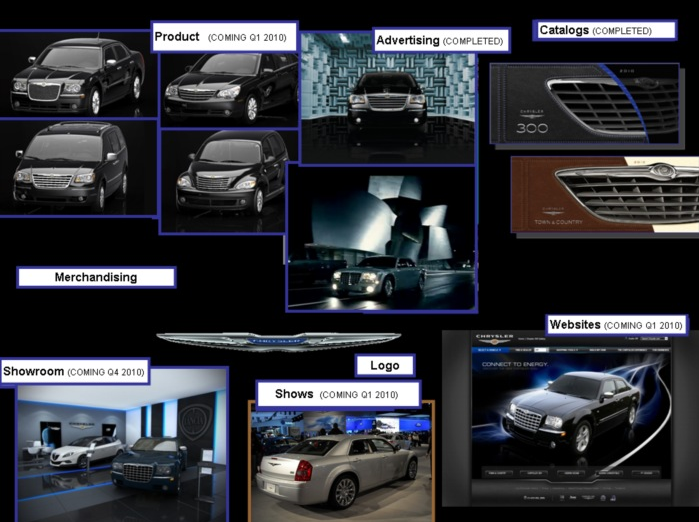 First, the 300 is slated to get a complete redesign later on in 2010, probably as a 2011 model vehicle. Regardless, the current 300 will get a Sport Edition that's targeted at the youth market before the reboot button is officially pressed. The Town and Country gets a Fashion Edition and the Sebring gets an Ocean Edition (we have no idea what that means). Lastly, the long-in-the-tooth PT Cruiser gets a Final Edition (finally final? Promise?) and the nameplate is not scheduled to live on past the 2010 model year. So, if you want one... better hit your local dealer post haste. As a parting note, Chrysler never actually mentioned it, but take a good look at the new Chrysler 300 brochure at the top right of the image above – that doesn't look like the current 300 grille, does it? Hint, hint.